File photos for UBC Okanagan Heat athletics. 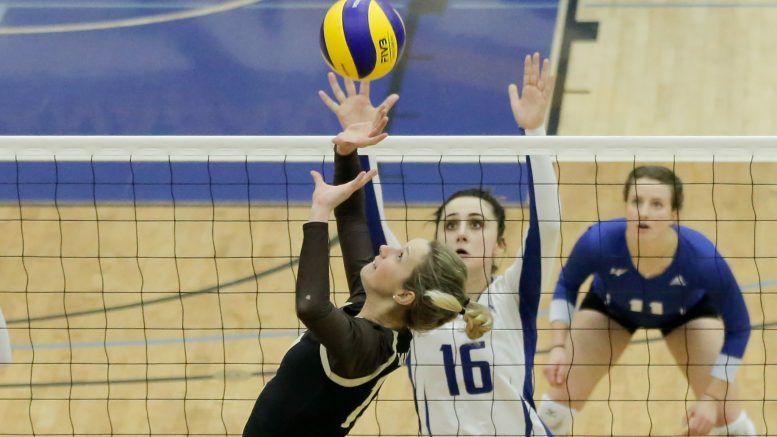 As quickly as their playoff runs started, the University of Manitoba volleyball programs had their playoff runs dashed this weekend. The women’s team was playing a rematch of their final weekend series against the third-ranked University of British Columbia Okanagan Heat in Kelowna, B.C. The Bisons fell in two straight games losing 3-1 both nights. The men’s team was in Vancouver playing the second-ranked UBC Thunderbirds and were dispatched in two straight games as well. The Bisons took the first set 25-22 Friday but fell 26-24 in the second after starting to come back late. The Heat grabbed the momentum and won the third and fourth sets 25-21. Kearley Abbott led the herd with 18 kills and three blocks, while Cassie Bujan finished with a court best 22 digs. The Bisons fell in the first set 25-19 Saturday but stormed back to level the match winning 25-16 in the second. The experienced and talented UBC Okanagan team managed to close out the match and the series taking the final two sets 25-16 and 25-20, respectively. Jocelyn Koswin finished with 12 kills and two aces, with Abbott finishing with 14 digs and 10 kills. It was a tough ask for this inexperienced Bison men’s team to come in and upset the second-ranked T-Birds. The Bisons were down 2-0 Friday but won the third set with their backs against the wall, only to fall 25-23 in the fourth and deciding set. Scott Vercaigne finished with 21 kills and four aces, while Adam DeJonckheere came up with 10 digs and six kills. The Bisons fell in three straight sets Saturday, falling by 10 points in the third set. Vercaigne had 10 kills, t wo aces, and three digs in the loss.